Christmas is a prime time of year to visit Colonial Williamsburg, America’s largest interactive history museum, just a few hours' drive south of Washington, D.C. In 2017, Architectural Digest called Colonial Williamsburg the best town in America for Christmas celebrations. The Christmas season comes to life with Colonial Williamsburg’s world-renowned holiday decorations and 18th-century seasonal programming. 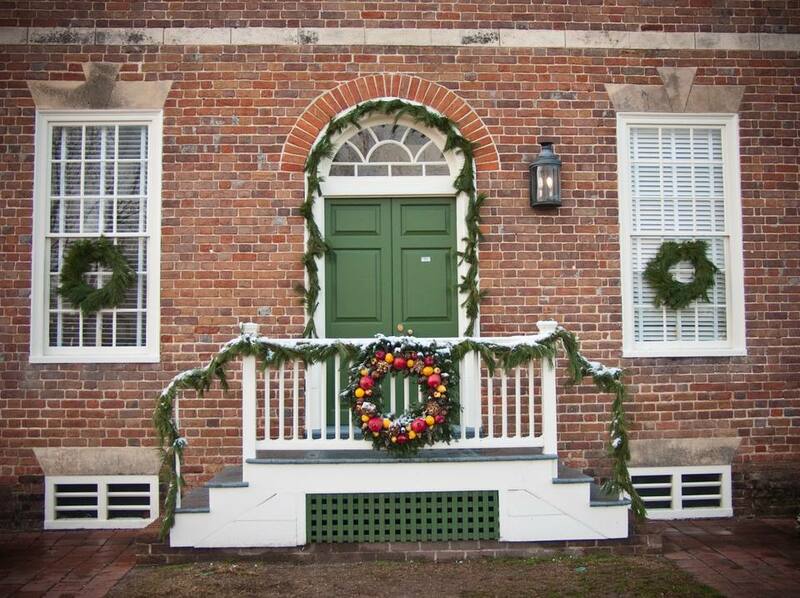 Beating drums, trilling fifes, firework displays, theatrical programs, and interpretive characters take visitors back in time to celebrate the holidays as Virginians did during colonial times. Since this is such a busy time, reservations for lodging and dining during the holiday season should be made as far ahead of your trip as possible. Make reservations for special programs and tours. The Christmas Decorations Walking Tour is not to be missed, and going to a musical program or play is a great way to spend the evening. Special experiences like carriage rides, behind-the-scenes tours, and craft workshops also need advance reservations which can be made on the Williamsburg Holiday website. Williamsburg welcomes in the Christmas season with candles, fireworks, and music during an unforgettable night of fireworks and entertainment on Dec. 2, 2018. The celebration begins in the late afternoon with a variety of entertainment that starts at 4 p.m. on multiple outdoor stages throughout the Historic Area. The Colonial Williamsburg Fifes and Drums provide 18th-century music appropriate to the season. Other costumed performers present holiday entertainment found in Williamsburg two centuries ago. As the sun goes down, candles are lit in public buildings, shops, and homes, and fireworks are launched at 7 p.m. at three Historic Area locations: the Governor’s Palace, Magazine, and Capitol. After the fireworks, entertainment resumes on the outdoor stages. Illuminations of individual buildings within the Historic Area will be on display throughout December. Traditional Christmas decorations include wreaths and swags using pine, boxwood, Fraser fir, magnolia leaves, assorted fruits and berries, and dried flowers. Residents of nearly 85 homes in the 301-acre Historic Area join in the holiday spirit each year by displaying additional decorations. More than 1,200 electric candles in the windows of buildings throughout the Historic Area are lit at dusk each evening during the holiday season. The Christmas Decorations Walking Tour takes a look at their work throughout December. Colonial Williamsburg offers a wonderful selection of entertainment programs for the holiday season. Visitors of all ages will enjoy performances such as "Joy in the Morning," stories and songs that tell the story of the African-American experience in 18th-century Williamsburg; “Christmastide at Home,” a journey back through time to experience Williamsburg Christmases of the past; or walking tours such as the Annual Christmas Homes Tour, a walk through five private homes in the Historic Area not usually open to the public. Note that these programs require tickets at an additional charge. Programs for the little ones in your family include dressing up for the holidays; 18th-century music, dance, storytelling, and a puppet show; celebrating several religious traditions; singing carols; preparing for life passages and children’s moral education; cooking; leisure activities such as Loo (a popular card game); and an introduction to British holiday traditions. Kids will receive a Kids Holiday Adventure Map, incorporating the various activities and programs they can experience with their family. Colonial Williamsburg operates four dining taverns in the Historic Area, each offering unique 18th-century menus served in authentic colonial surroundings. While visiting Williamsburg, also visit Christmas Town at Busch Gardens. The amusement park is transformed into a Christmas wonderland, combining an immersive holiday experience with one-of-a-kind shopping and dining opportunities, all-new holiday shows, and a spectacular light-dancing Christmas tree.